NIGHT WALKING NORTH KENT Festival. 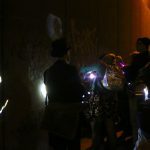 The festival basking in the Spring heatwave attracted over 600 people to a variety of artistic events and night walking. 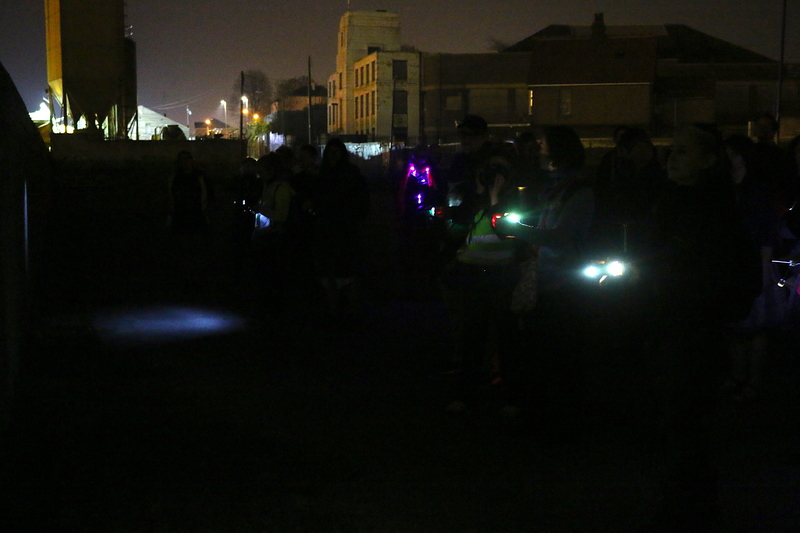 There was a large group of Roshervillian walkers for the HiLight lantern show as artists Mollett and Morris, with audience assistence lit up the sea wall at the old Pleasure Gardens. And great to have packed out Gravesham Arts Centre for a night of Kent Spirits and vapourous story-telling. 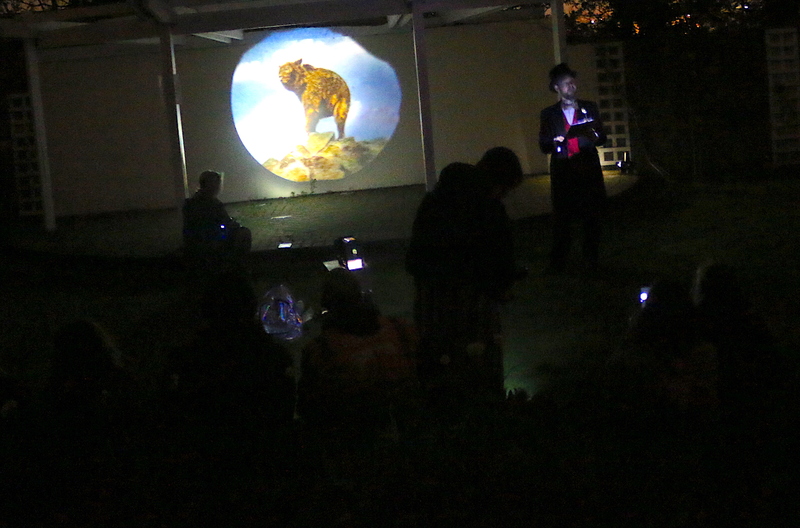 We had a wonderful line up of experts, artists, amateurs and locals sharing a range of exciting cultural enthusiasms. 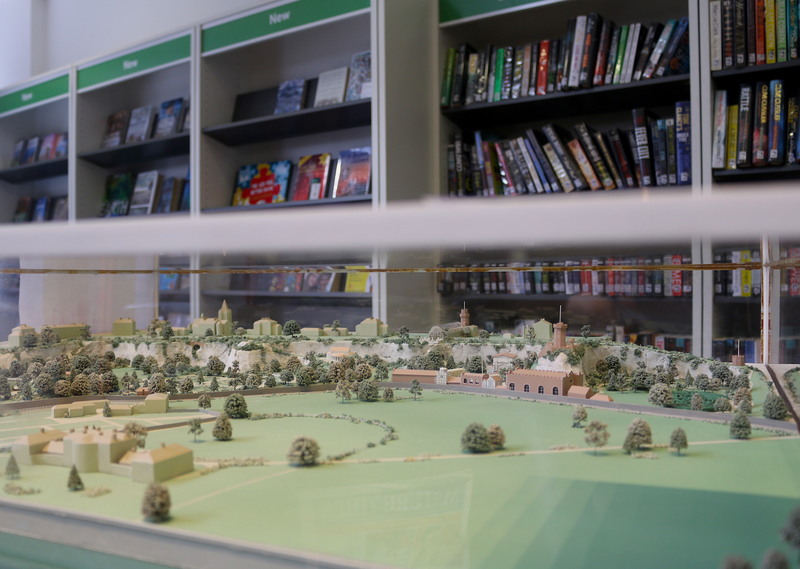 Alongside the library display and other related events the festival engaged well over 2000 people (mostly but not exclusively from Kent and the Metropole). 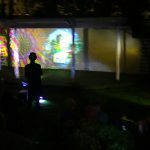 This unique festival of nocturnal walking, offers 4 nightdays of curated walks, art, talks, workshops and exploration across North Kent. 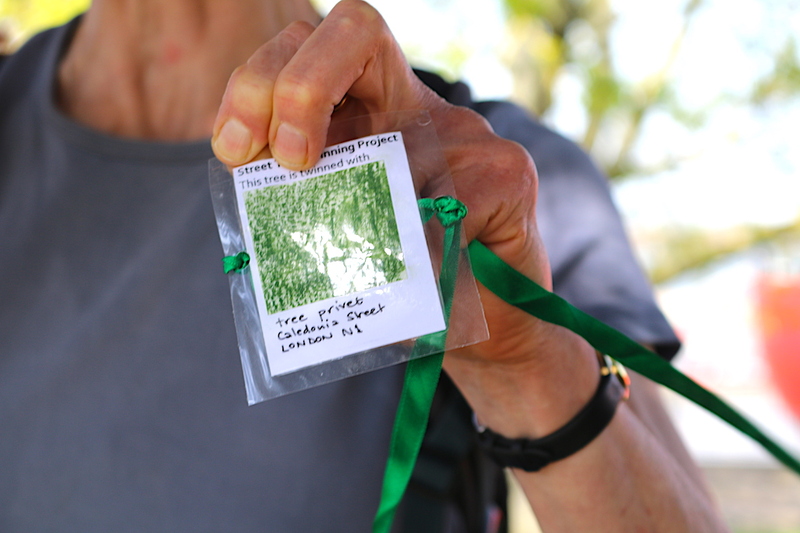 Bringing the Inspiral Metropolitan Trail experience back to Gravesham, to reimagine together the long-distance night walks of Dickens – an other world from central London out to Gads Hill – creating ‘other journeys of wild, ludic and untrammeled adventure’ that begin to reclaim the night terrain on foot. Through the marshes by night, trapping soundscapes and the air of Expectations, we explore certain lost Victorian sensibilities – repopulating the night terrain together. Selection of images from Night Walking North Kent Festival (All photos counterproductions or Jemima Broadbridge). 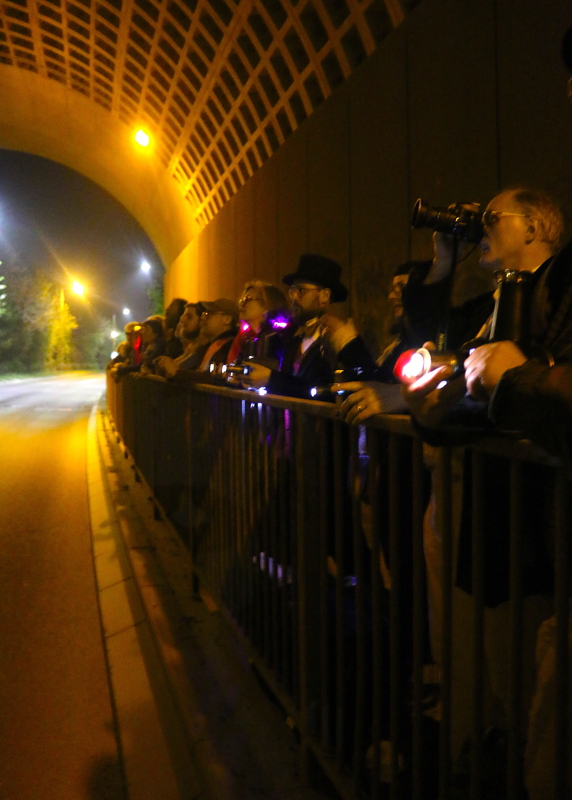 Across the whole festival associate artists will be presenting unique responses to the metropolitan trail experience, in being a part of and observing the city by night. Beginning the journey at Kings Cross on Thursday 19 April, we launch the unique Inspiral Trail map. 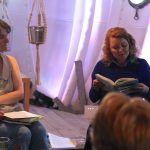 Inspiral Director Anne Robinson will talk about her new work Darks and on being a flaneuse – ‘Only One’s a Wanderer.’ The evening culminates with a new ‘Night Walking with Dickens – The road home’ guided by Keith Turpin as we head from the spirals centre toward Kent. 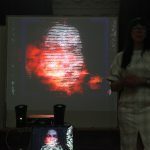 Then on Friday evening (20 April), we arrive at Gravesham Art Centre for Sarah Sparkes’s GHost Hostings 19: Of Ghosts and Spirites Walking by Nyght with Scott Wood (London Fortean Society), Giles Abbott (story teller) and a sonic performance from Breathing Space Collective. 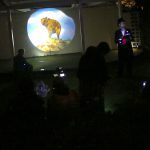 Then join the HiLight night walk to Northfleet, illuminated by Mollett and Morris’s new magic lantern encounters with the Rosherville Pleasure Gardens. 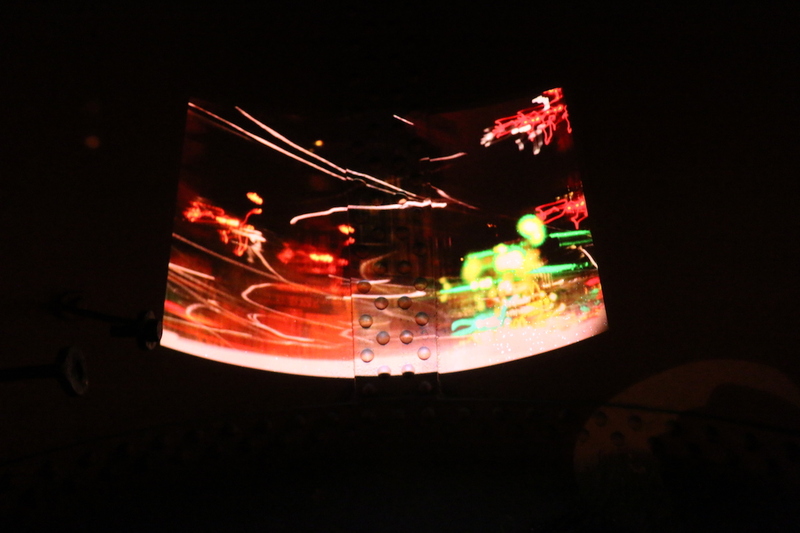 As the evening progresses you will be invited to reclaim the night together with – dotdotdash – Birgitta Hosea’s collaborative light action. On the weekend 21/22 April, LV21 and Gravesham Arts host video installations by Richard Couzins, Sarah Sparkes, Anne Robinson and counterproductions, alongside discussions and talk including: a live introduction of Rachel Gomme’s street tree-twinning project and counterproductions free Rosherville HiLights making workshop. Or discover Caroline Gregory’s Talismans, a collection of lucky charms and artefacts that evoke protective deities, souvenirs of the sea that offer protection from the darkness. 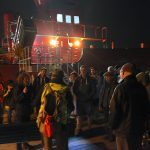 On the Saturday evening, LV21 provides a suitably Estuarine venue for a talk introducing our Long Hoo Night Walk, with nature writer and conservationist. Carol Donaldson, celebrating the North Kent Marshlands. 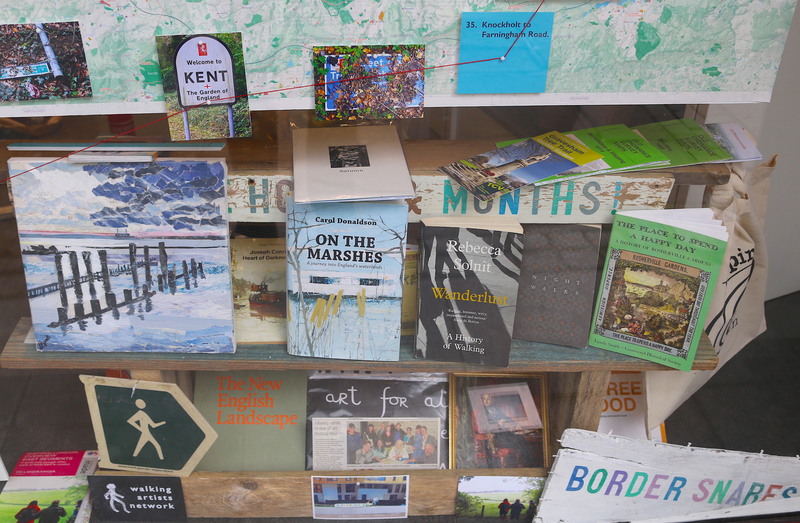 Carol’s first book, On the Marshes was published by Little Toller in 2017 and follows a journey across the North Kent Marshes meeting people who have chosen to live in unconventional ways. 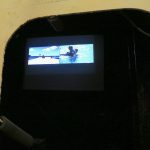 While sound artist Grant Smith (soundcamp) introduces us to ways of experiencing soundscapes remotely. 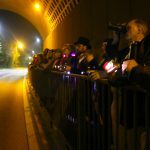 The 26-mile Long Hoo Night Walk through the night takes place in another zone, a nocturnal Slow Walk inspired by Deveron Arts’ annual Slow Marathon event held on the same day (22 April). This marathon night walk is a 21st Century version of Charles Dickens’s treks to Gad’s Hill. As we walk out into the night to explore the unique botanical diversity of the marshes, we prepare ourselves for discussing birds of the night and all things orniphilosophical with Inspiral’s unique ornithological expert J D Swann. 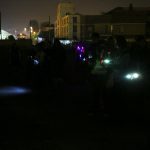 The Night Walking is an inclusive, fun way to explore our urban/semi-urban lives as we range across Gravesham, the Hoo and Northfleet, knocking on the night ground, turning up the unexpected, the uncommon and uncanny. 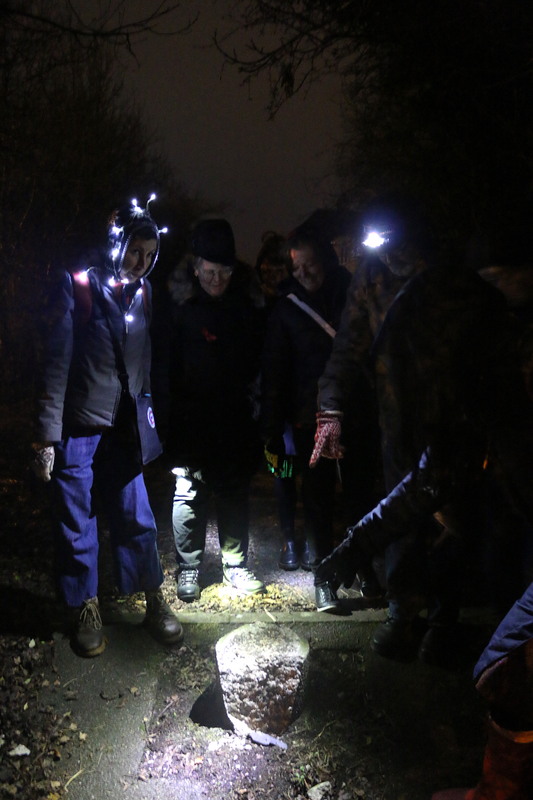 Come and join us as amateur naturalist, expert historian, pleasure-seeker, archaeologist or simple nightwalker, to scour the night time, and prepare to be enlightened, amazed, challenged, as we explore together the rich and overlapping natural and cultural histories of North Kent. 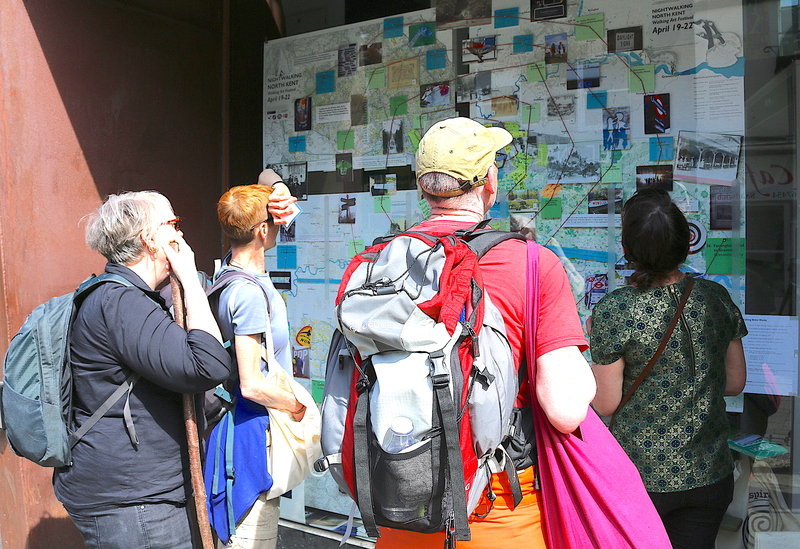 Begin the festival journey at Kings Cross, where we launch the unique new Inspiral Trail map. Darks slipping through from the past, wandering city spirals in perilous blackout, tracing rackety, romantic and derelict below the surface tension. Gut rush, footloose, street sway, under seeing, past wrecks and gorgeous, simmering hours outside the clock. Open light across my path past walking, footfall present here in momentary disarray. Rupture: dissolution of the gauzy veil, hung soft. Rapture: like in a dream. There will be some Inspiral refreshments both at The Place and along the walk. 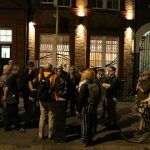 8.45 – 10.45pm ‘Night Walking with Dickens – The road home’ from old Kings Cross; Dickens sets off toward Gad’s Hill, Kent, guided tour led by Walk leader – Keith Turpin. This night walk mimics the start of Dickens’s infamous nocturnal treks through London, and out toward his family home in Kent. Starting from Dukes’ Road close by the site of Polygon Square, where he lived briefly as a young man. 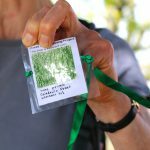 As we set off together we will pause to imagine the anticipation of a solitary walk out to Kent – over 30 miles tramp along the South side of the Thames Estuary. Imagine how this night walk might have unfolded for a Victorian gentleman privileged enough, and enlivened by manic energy, to walk alone at night. What purpose, utility or confrontation is manifest in such activity? Walk guide, Keith Turpin will take us from Tavistock Square and onto Furnival’s Inn before reaching the river, in reverse footfall of Dickens’s biography; stopping at some of his haunts and homes. 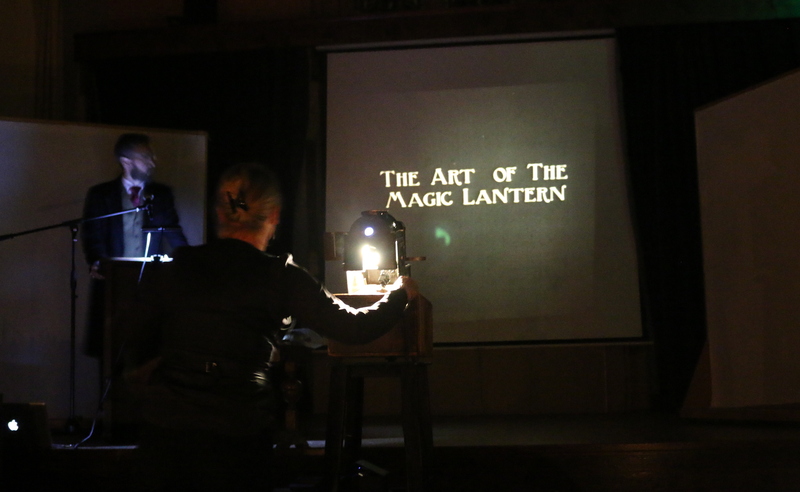 Sarah Sparkes N.Kent GHost Hostings with a programme that includes urban legend expert Scott Wood, of the London Fortean Society, renowned storyteller Giles Abbott and sonic performance collective Breathing Space. 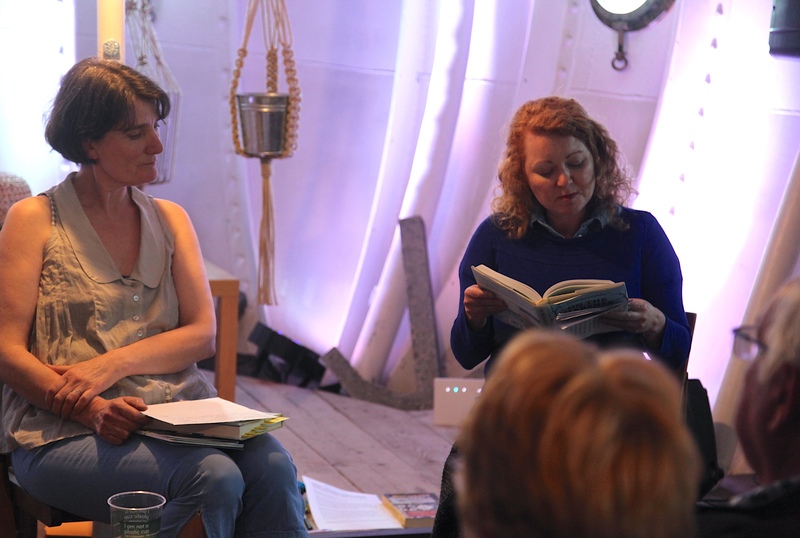 A night of talks, storytelling and performance – curated and hosted by Sarah Sparkes of GHost. Kent is reputed to be one of the most haunted counties in the UK, with numerous historical and contemporary accounts of ghosts, ‘walking abroad’ at night. 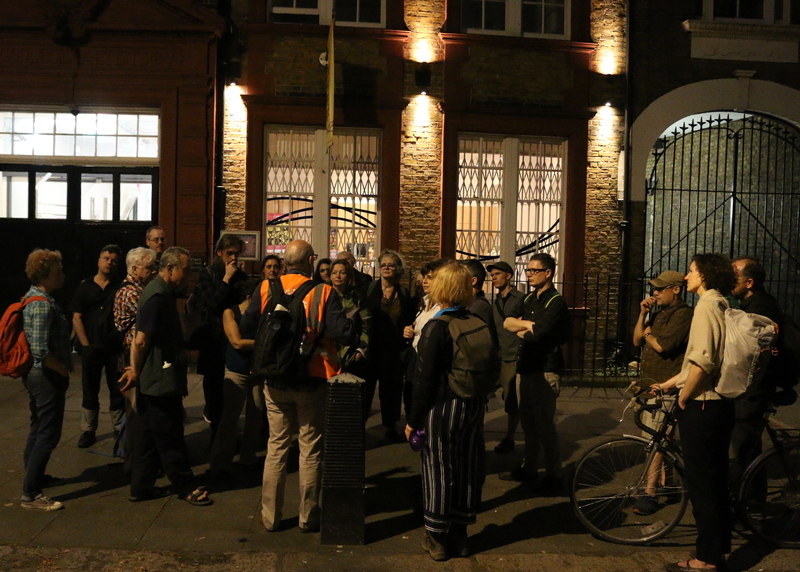 In response to the Inspiral London Night Walking Festival of North Kent, GHost Hostings 19, will explore the idea of ghosts as a night walking phenomena. Hostings 19 takes its title from a 16th century book on ghosts and demonology, De spectris, lemuribus et magnis atque insolitis fragoribus, by Swiss theologian Ludwig Lavater. One of the most popular books of its day, it demonstrates that the phenomena of ghosts have always perplexed and fascinated the living. With a programme that includes urban legend expert Scott Wood, of the London Fortean Society, renowned storyteller Giles Abbott and sonic performance collective Breathing Space we will introduce you to some infamous Kent ghost and other weird folk tales. We will also be exploring ghosts and their movements in a wider context. 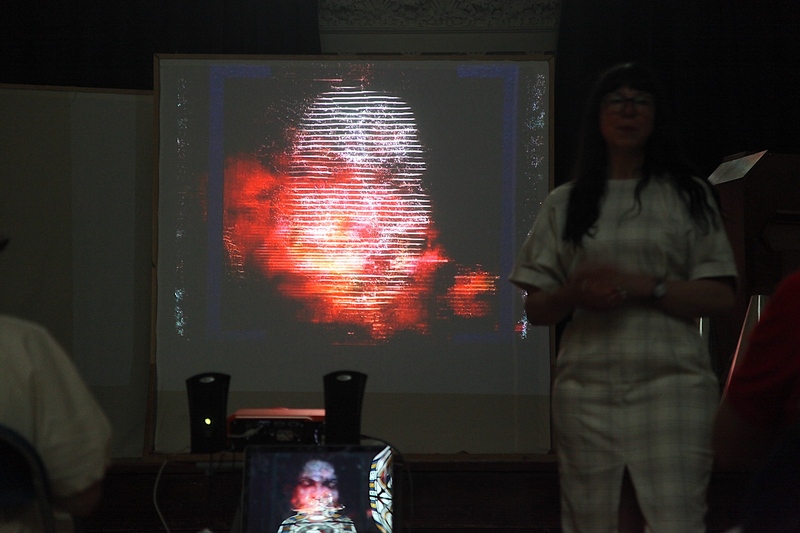 The GHost Hostings are one part of the creative research project GHost. GHost is a visual arts and creative research project which explores the nature of ghosts both metaphorically and practically in its activities. 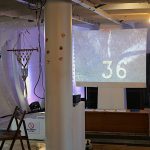 Serving as a supporting platform (or host) GHost aims to enable invited guests to visually and conceptually manifest and interrogate the idea of the ghost. 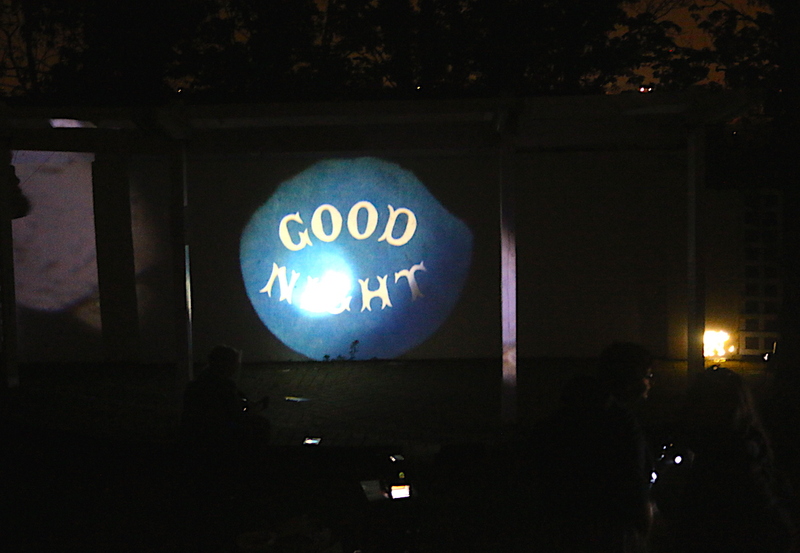 This unique HiLight night walk to Northfleet, explores the history and glory days of the Rosherville Pleasure Gardens. Encounter the Thameside views as never before as we wind our way up and down the cement work cliff faces toward Ebbsfleet. 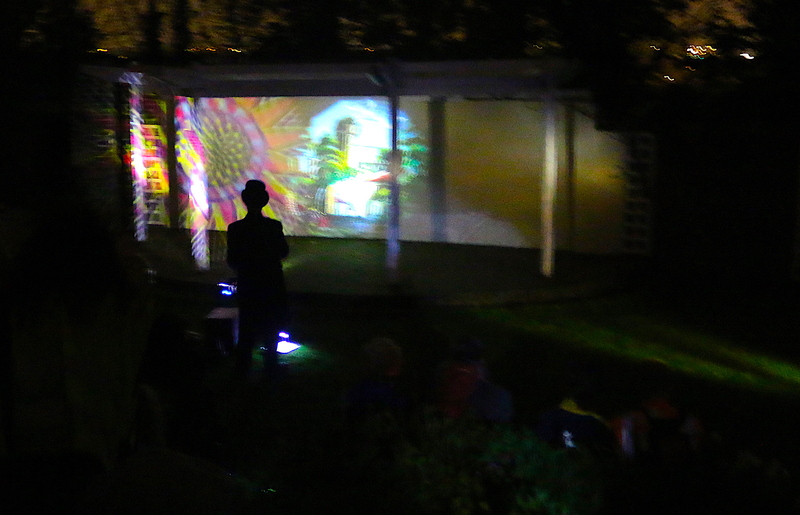 Along the way you’ll join in the magic lantern show, with artists Mollett and Morris, as they lead us through Rosherville’s Pleasures. 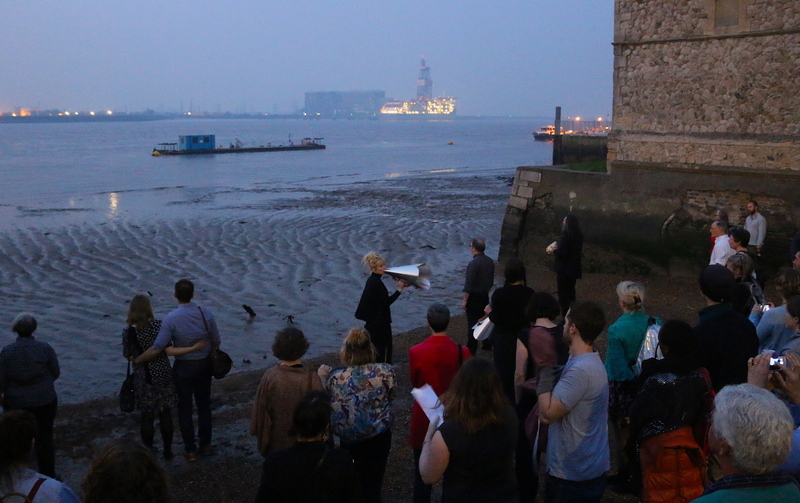 The first part of walk (9.15-10.45pm) from Rosherville to Northfleet includes a number of curated artistic interludes along the way, before we descend to Ebbslfleet International where you can pick up a train for London. 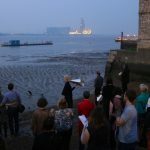 For the return walk to Gravesend (10.45-12pm) you will be invited to reclaim the night together with a collaborative light action – dotdotdash – orchestrated by artist Birgitta Hosea. 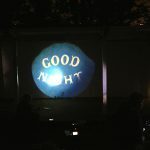 Enjoy some welcome Inspiral refreshment and see an other HiLight side of Gravesham by night. For the walk – you are encouraged to bring along portable lighting, Christmas lights, leds etc. to light up the walk as we pass through the emptied streets of Rosherville and beyond. Remember to wear suitable clothing for the weather conditions and good comfortable walking shoes. 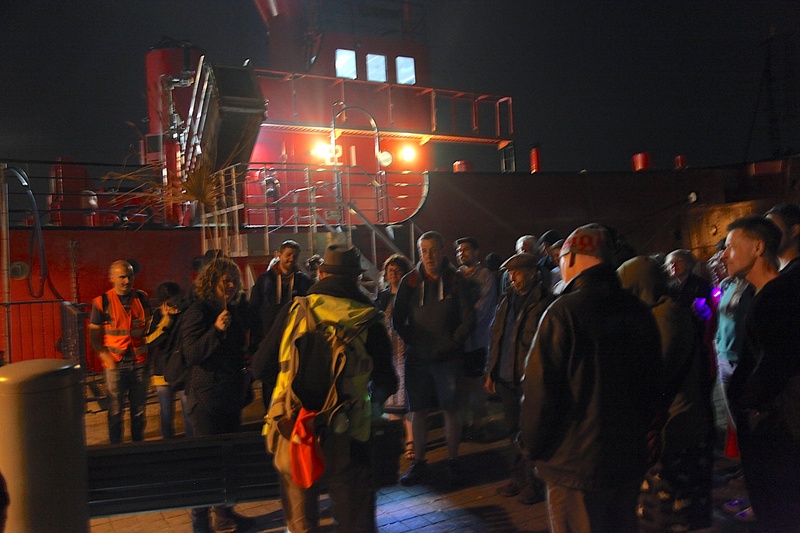 The walk is in 2 parts so that walkers can either return to London via train/take public transport/taxi back to start or continue on the return walk to Gravesend for more night inspiralling. With Associate Artists: Birgitta Hosea Nicole Mollett, Frog Morris, Sarah Sparkes, Ian Thompson,Breathing Space Collective and Inspiral Menagerie Local Artists. 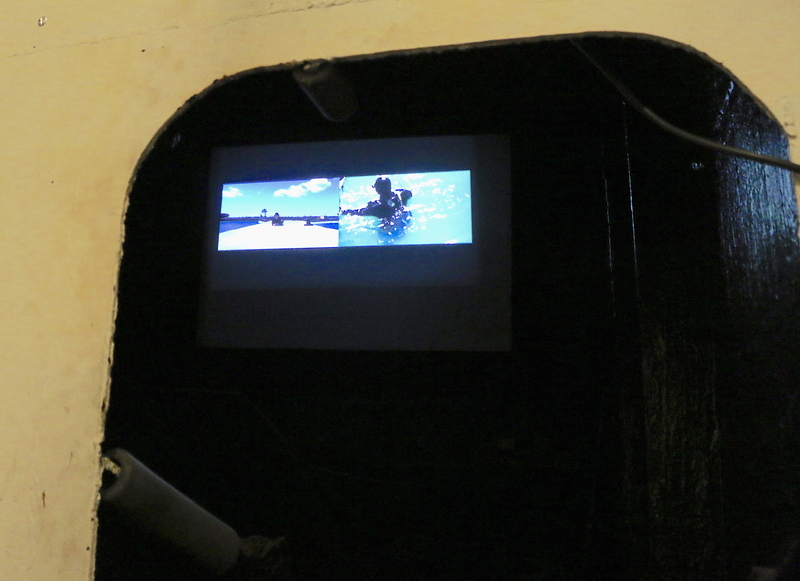 11.0 am – 4.30pm on LV21 Inspiral Artists Film screenings. 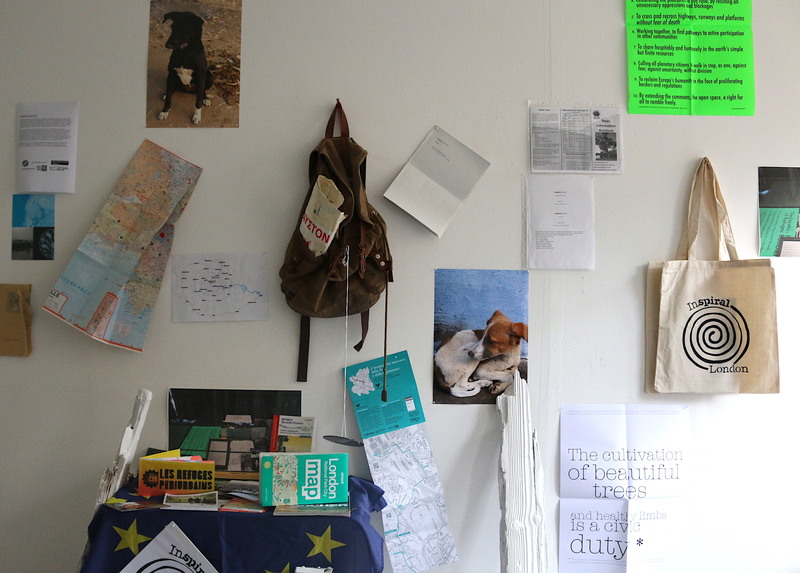 Other events and exhibition include installations by Richard Couzins, Sarah Sparkes, Anne Robinson and counterproductions, alongside discussions and talk including: a live introduction of Rachel Gomme’s street tree-twinning project and counterproductions open Rosherville HiLights making workshop. Plus discover Caroline Gregory’s Talismans, a collection of lucky charms and artefacts that evoke protective deities, souvenirs of the sea that offer protection from the darkness. 1.30pm-3pm GAC Workshop – Rosherville HiLights workshop continues. After a day of artistic interventions and installations join local nature writer and conservationist Carol Donaldson, and sound artist Grant Smith on LV21 for a Marshland inspired talk. This afternoon talk introduces us to the richness and diversity of the North Kent Marshes as a place of otherness, refuge and rare beauty. Talks and discussion will be facilitated by art educator Jane Trowell. 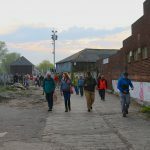 This is an ideal way to share our experiences of exploring other places and night walking, but also as a way to prepare for Inspiral Long Hoo Night Walk – this epic walk will leave from LV21 after the talk finishes. See here for details and book a place for Long Hoo Night Walk. Speakers: Carol Donaldson originally from Essex, moved to Kent in 2004 to work for the RSPB. In 2014 she set up an environmental consultancy advising farmers, charities and government bodies on improving the countryside for wildlife. She has written for The Guardian, Wanderlust and BBC Wildlife Magazine. She was BBC Wildlife Magazine’s Travel Writer of the Year in 2011. The event will allow time for discussion with other Inspiral Associate Artists and include an Inspiral Refreshment. With special thanks to Paivi Seppala at LV21, Carol Donaldson and Grant Smith. 6.30-6.45 pm Long Hoo Night Walk to North Kent Marshlands Gather and prepare for Long Hoo Night Walk to North Kent Marshlands at GAC. 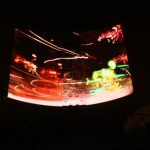 This 26-mile walk through the night takes place in another zone, a nocturnal Slow Walk inspired by Deveron Arts’ annual Slow Marathon event held on the same nightday (21/22 April). This marathon night walk is a 21st Century version of Charles Dickens’s treks to Gad’s Hill. As we walk out into the night to explore the unique botanical diversity of the marshes, we prepare ourselves by discussing birds of the night and all things orniphilosophical with Inspiral’s unique ornithological expert J D Swann. We also encounter the Marshes of Pip, Joe and Magwitch as we wend our way through the imaginary and real world of Dickens’s childhood; by night where the ghosts of future/past wander. 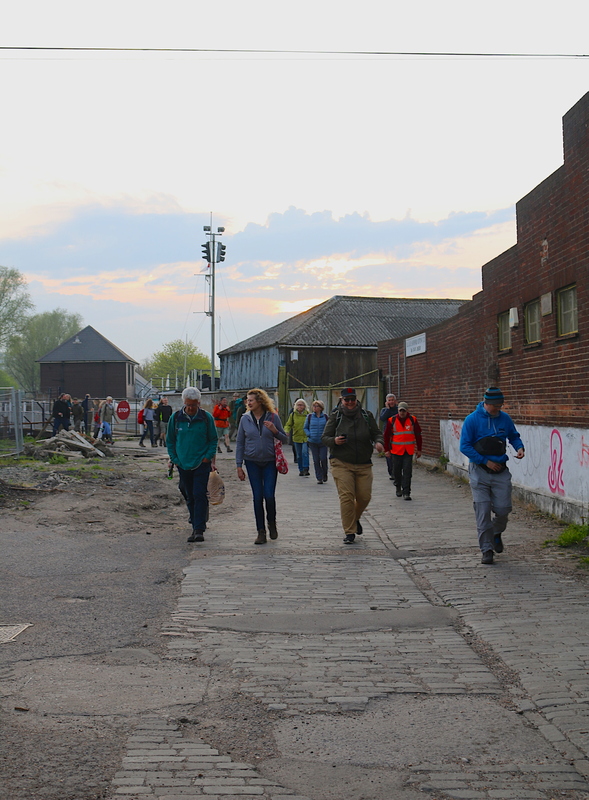 This Long Walk is divided into 2 parts: first part of walk will be around 12 miles – until around 11pm – where having stopped for a midway refreshment, night taxi/s can ferry walkers back to Gravesend etc. 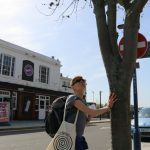 ; the second part of Long Walk for those wishing to complete the 26-mile slow walk will continue by returning towards Gravesend on foot. To arrive in town around 2-3am. As this is both a night walk and a walk through the countryside, across variable footways and terrain, walkers must be fit and willing to take on this unique challenge. Wear suitable clothes, bring some form of lighting and light refreshments to provide energy. If the weather is too extreme we will adapt the walks length or abandon the initial schedule. From Gravesend toward Cooling (Gad’s Hill) and then descending into Marshlands. Route and stops tbc. The Long Night Walk will be a circuit c. 26 miles and the whole route will take approx. 8 hours – there is a half way point (4/5 hours in) with refreshments and other short stops on way. 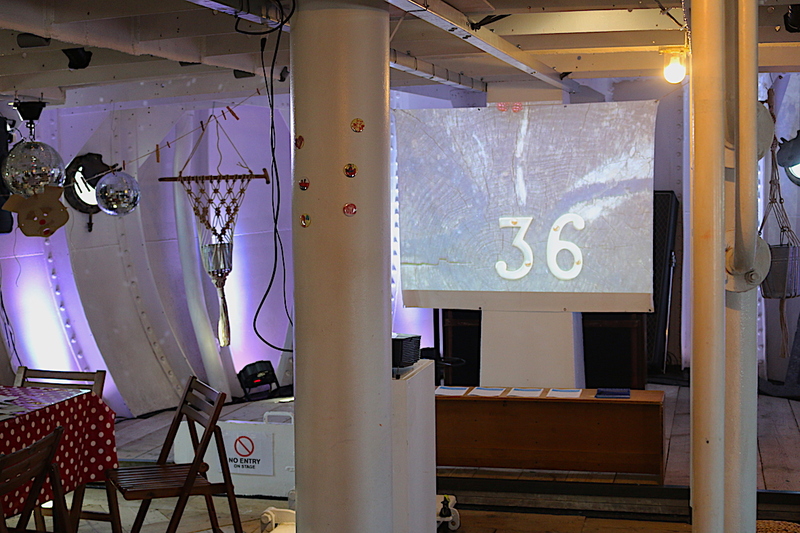 Artists: Charlie Fox, Calum F Kerr (JD Swann), Carol Donaldson, Grant Smith, Rachel Gomme. Deveron Projects Slow Marathon, co-concepted with Ethiopian artist Mihret Kebede in 2012, is an annual walking event. Celebrating the human pace, it is both an endurance event as well as a poetic act that brings together friendship, physical activity and an appreciation of our varied landscape. Join us at the start of segment 36 of the Metropolitan Trail – starting at Gravesend Ferry Pier as we walk southwards along Inspiral Trail back toward London. On this walk we will take a slight detour to Hartley and the site of Fairby Grange. Fairby Grange was originally going to be purchased by the No-Conscription Fellowship but was finally bought by Bermondsey Independent Labour Party in August 1918. After the War the house and grounds became a convalescent home for working women and mothers, while providing a site for the Beautification Committee nursery; here thousands of trees were propagated and nurtured as saplings before being transported to Bermondsey for planting by the unemployed. The walk is approx. 8 miles – 3 to 4 hours long. Please wear sensible clothing and good walking shoes or boots. There is a train station nearby at Longfield – trains to London Victoria every hour. InspiralLondon – A Waxing FullMoon Walk: has now been incorporated into our next mini festival of NIGHT/DAY Walking Art as part of London National Park City Week – a 48 hour non-stop relay walk with artistic activities along the first 6 segments of the Metropolitan Trail. Further information to follow Night Walking North Kent Festival. 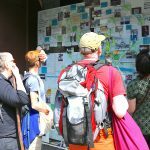 Walks and experiences for all ages are interspersed with performances, events and interventions. Join us as amateur naturalist, expert historian, pleasure-seeker, archaeologist or simple nightwalker, to scour the night time, and prepare to be enlightened, amazed, challenged as we explore together the rich and overlapping histories of the area by day and by night. 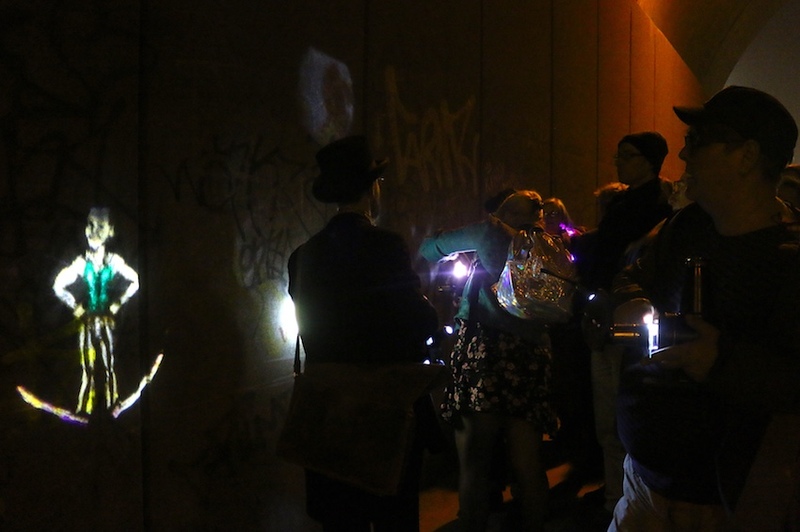 The night walking is an inclusive, fun way to explore and re-imagine our urban/semi-urban lives as we range across Gravesham and Northfleet knocking on the ground, turning up the unexpected and the uncommon. As Gravesham Arts Member and Director Inspiral Charlie Fox claims: “Walking, a practice of on the ground mapping, allows us to imagine together other cities, different times, and worlds, as we confront the reality of our ever-changing metropoles.” Opening the Inspiral metropolitan trail to the public, this 300-mile artist designed trail explores and exposes the unique connections that crisscross the expanding London Metropole. Inspiral seeks to foster a shared enthusiasm for exploration through hospitality, curated walks and artistic researches; re-imagining the built environment, as a place of extraordinary variety, contrast and potential as we encounter places we no longer see or have forgotten.